On January 2nd, 2012 Zack and Tony left San Diego and crossed the border into Mexico to begin the approimately 1500 km journey down the Baja California Peninsula. 5 and a half weeks later they arrived in La Paz, at the southern end of the peninsula. They had covered 1770 km across the desert land. In addition, they crossed the peninsula no less than 5 times, and over 240 km of the 1770 km was off-road. At the end of the day, with a total of over 3,400 km under their belts, they were veteran touring cyclists. They also had plenty of fish tacos to eat. 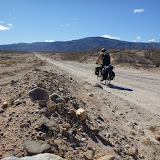 Baja California proved itself to be a very special place; a wild, desolate strip of desert with only one road to take you from one end to the other. Zack will have two predominant memories of the place. The first is bound to be of cowboy camping in the midst of vast expanses of flat nothingness, surrounded by a sea of dust and rock lit up by a sky of brilliant stars, listening to the silent howling of the wind, and hoping the sea mist won’t climb up too high and soak him in the night (again). The second main memory of Baja California will be of cycling along flat, straight, dusty roads, past the occasional loncheria or ranch house. Zack will remember the rhythm of the pedals under the full bore of a midday sun, the feel of the sweat and sunscreen dribbling down his shoulders and evaporating into salt and dirt and the smell of ammonia rising from his back as he watched the bike computer slowly count each kilometer crawling past. As enjoyable and adventurous the wild kilometers of Baja California are, Tony and Zack eventually grow weary of it’s treasures. 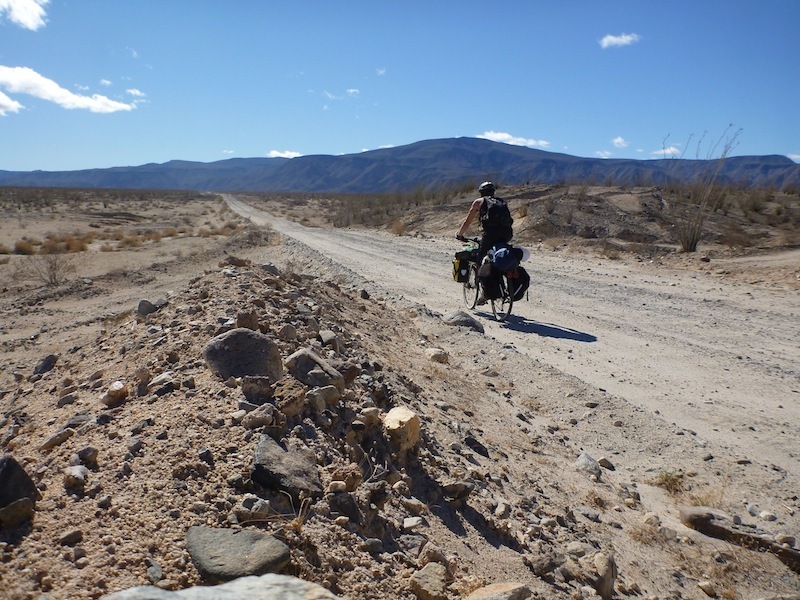 In many ways, Baja California is viewed by the other touring cyclists and Zack as a transitional land, one that is a far cry from the United States, but still very different than the rest of Mexico, and indeed, Latin America. The small towns, full of RVs and American Expats but lacking in the normal throng of tourists, have all resonated a hollowness, as though there was once a town here, but now there is only a vague remnant of a former prosperity, a mere hint of a life long gone. Dust to Dust. Tour de Zack y Tony: Stage 2: Baja California AKA Operation: Fish Tacos! 5. Across the great nothing. 6. I’ll have the tacos with whale meat please! 12. LA PAZ! And the end of Operation: Fish Tacos! Want more? On to Stage 3: Western Mexico AKA Operation: TEQUILA! TEQUILA! Missed Stage 1? Check out it out! Stage 1: USA AKA Operation: WRONG WAY!